The foundation of oral health care is preventive services, which are designed to preserve the beauty and function of your teeth and gums. 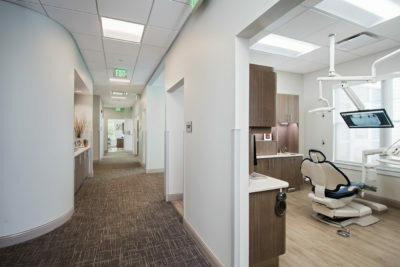 Our dentists at Saco River Dentistry blend innovative techniques alongside tried-and-true methods to personalize your dental care and achieve exceptional results. They offer one-on-one attention, listening to your concerns and meticulously evaluating your needs. In the event of a dental emergency or urgent need, we can help address the issue as quickly and as effectively as possible. We want you to know your smile is in good hands. To learn more about the various preventive and urgent care services we offer, please follow the links below or contact our practice with any questions. We are happy to provide additional information or to help you schedule a consultation with one of our cosmetic dentists. Routine dental exams and cleanings help your teeth, gums, and oral structures function properly and stay beautiful. During the examination, we will thoroughly evaluate the state of your oral health and discuss any questions and concerns you may have. At the same time, we will check for signs of gum disease, dental damage and decay, or illness. Our well-equipped office includes advanced laser and digital technology to help make this process as comfortable and efficient as possible. As part of our routine dental check-up, we inspect your mouth for signs of oral cancer. Detecting this disease as early as possible is essential, as this issue can be life-threatening if left untreated. We take your health very seriously at Saco River Dentistry, and we will evaluate any oral abnormalities we discover and guide you in addressing any concerns that may arise. Decay and damage can sometimes develop even with diligent brushing and flossing. When that happens, our dentists can repair the problem, often with a simple filling. When cavities (called caries) occur, many times we can use tooth-colored fillings to restore the beauty of your smile and the strength of your teeth without obvious signs of treatment. These aesthetically appealing restorations are designed to blend in seamlessly with your existing teeth for natural-looking results. Furthermore, our fillings are free of toxic elements like mercury to help safeguard your health now and in the future. We welcome questions, so don’t hesitate to ask us about your options when it comes to our restorative techniques. Advances in dental technology have made caring for your oral needs and achieving your cosmetic goals easier, faster, and more comfortable than ever. Saco River Dentistry utilizes state-of-the-art laser techniques to correct gummy smiles, lengthen crowns, eliminate bacteria under the gumline, and more. By using a laser, we can reduce recovery time, minimize discomfort, and provide precision treatment in the area of concern. Our office prides itself on delivering the “big city” experience in a “small town” environment. We can further explain the benefits of laser dentistry during your initial consultation. If you’re at risk for dental decay, a topical fluoride treatment from our dentists can be applied directly to your teeth (or your child’s) to help strengthen and protect the tooth enamel from weakness and mineral loss. While not an excuse to skip brushing and flossing, this technique can help protect your oral structures. We recommend fluoride for our younger patients and individuals with a history of cavities, who snack or enjoy sweets often, who experience dry mouth, or who simply want an additional defense against bacteria and acids that can cause decay. Sometimes a dental emergency will arise or tooth pain may develop that requires immediate attention. Saco River Dentistry offers urgent care for a wide range of issues, including broken, chipped, or cracked teeth, loose or detached crowns or fillings, sudden or long-term tooth or gum pain, infection, damaged dental appliances, and more. We can evaluate your concern and get you in to see one of our dentists as quickly as possible to address the problem and return you to comfort and normal activity faster.